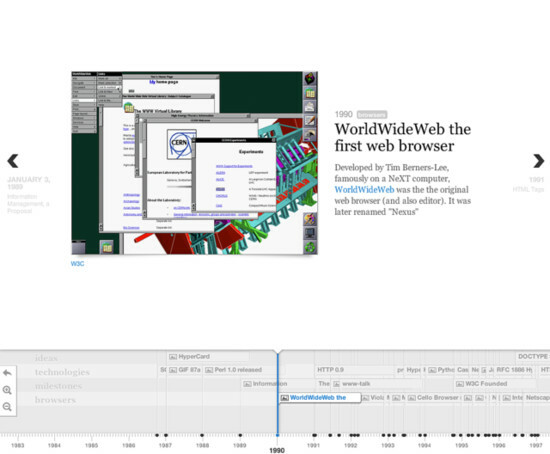 Web history has been turned into a comprehensive, interactive timeline by the Australian-based site Web Directions. Google turned 15 this year, and what surprises me is that I was there, right on the edge, on each one. Scroll through webdirections.org/history and soak up the milestones of modern communication. If all of this historical knowledge leaves you hungry for more, learn about the fascinating father of computer science, Alan Turing, who Benedict Cumberbatch (I put the name in to get me more hits on this page, and it will!) will play in upcoming film.